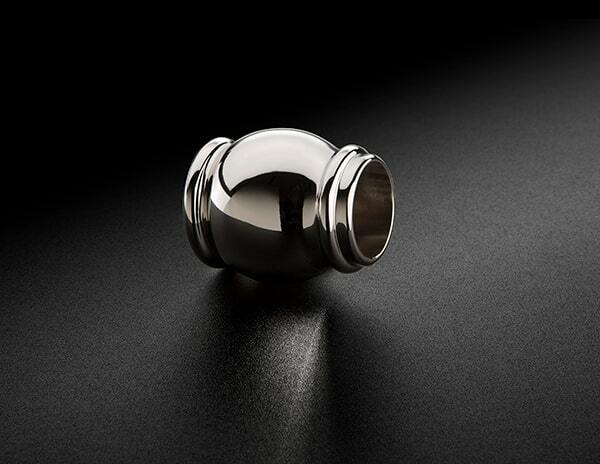 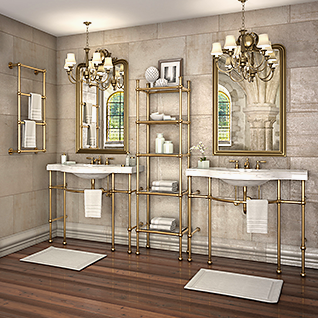 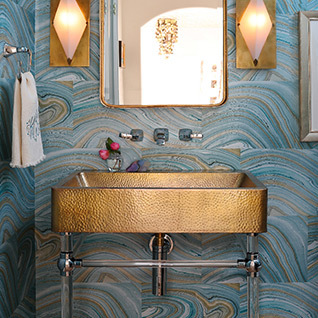 As a designer, engineer, and manufacturer of custom architectural metalwork, Palmer Industries specializes in the production of America’s finest Custom Vanity Sink Legs. 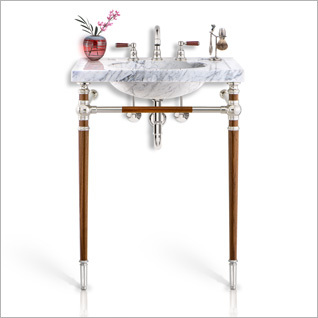 Palmer will custom fabricate our vanity sink legs to any size, configuration, or finish. 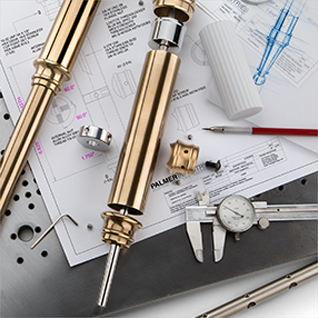 Palmer takes great pride in the quality, form, and finish of the proprietary modular components that lie at the heart of all our products and designs. 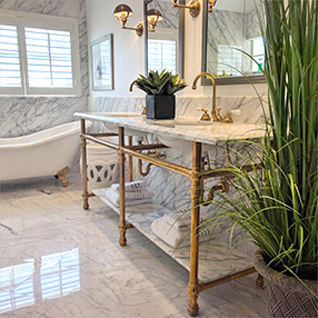 Palmer Industries works closely with a number of key players in the plumbing and bath industry to coordinate our stylish sink legs with their products and current design trends. 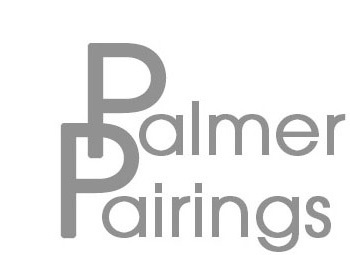 Working together with other manufacturers, we have achieved some very special pairings of Palmer Industries custom sink leg systems with their unique tops, vessels, & sinks. 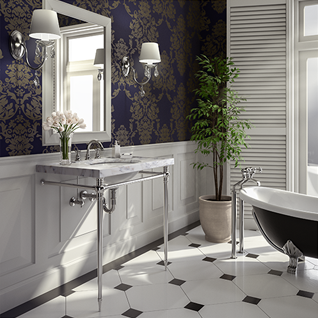 Palmer’s custom Vanity Leg Systems can be sized and configured to fit most any top. 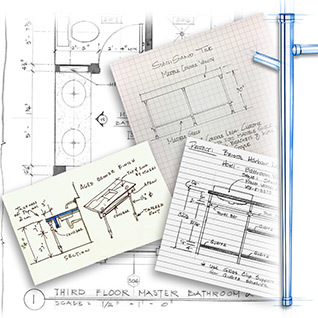 Palmer specializes in the design and fabrication of custom shelving systems, used commonly in residential kitchens and as “back-bars” for restaurants. 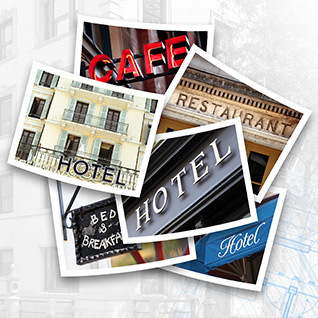 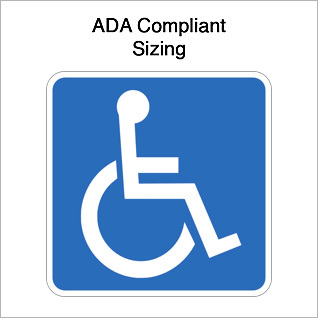 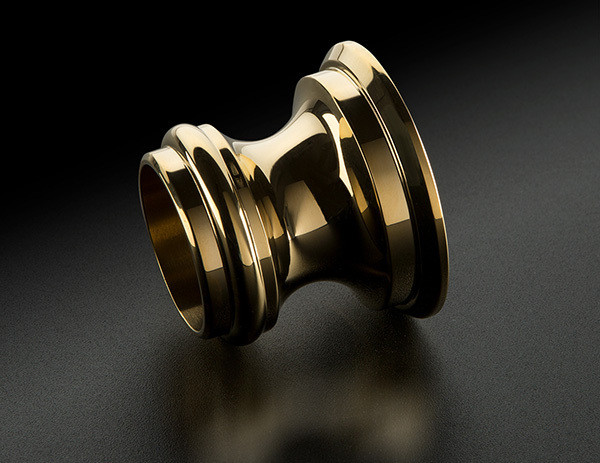 We will build to any style, any size, any configuration, and any finish. 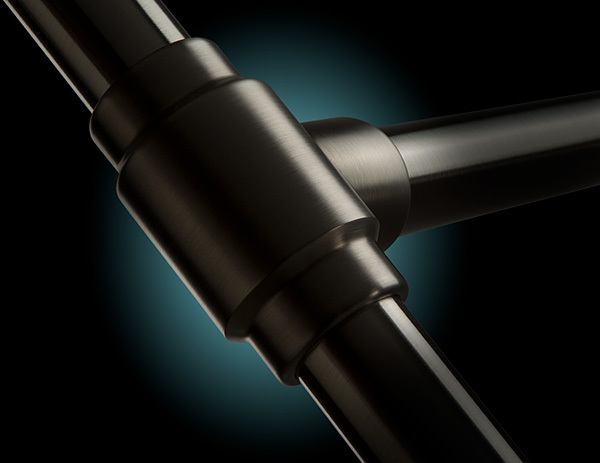 Available in ceiling-mount & counter-mount configurations. 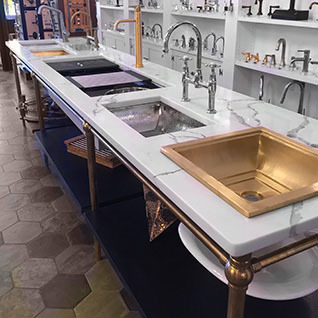 The Providence model features a truly unique and well-engineered system of incorporating stone aprons (a “skirt”) directly into the head of the leg, affording a truly seamless compliment to the counter material above, while concealing the sink basin and hardware below. 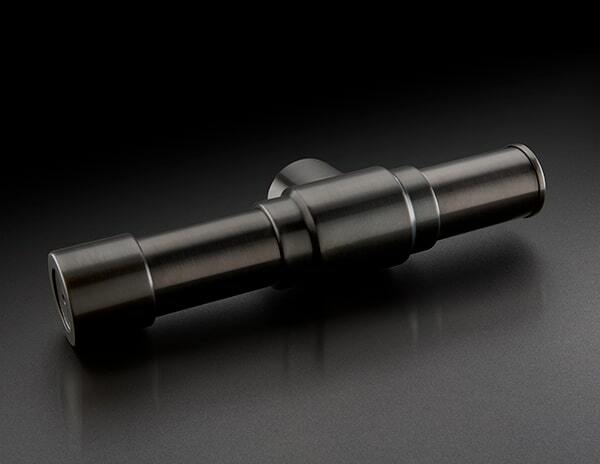 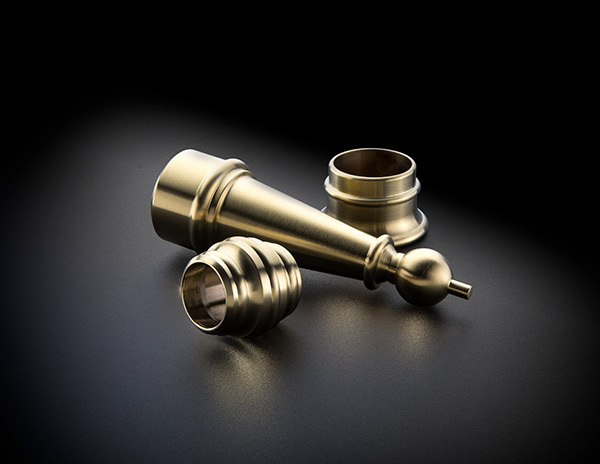 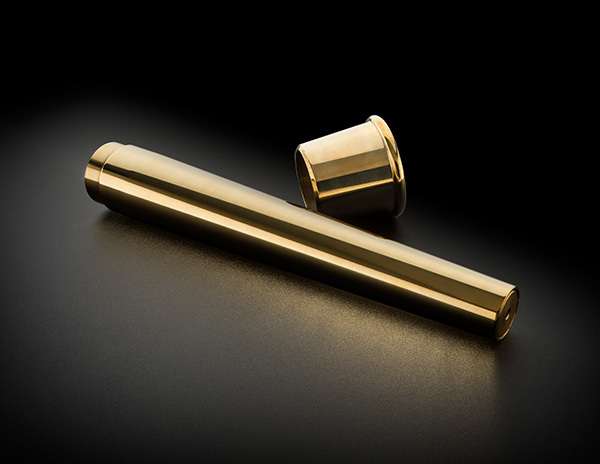 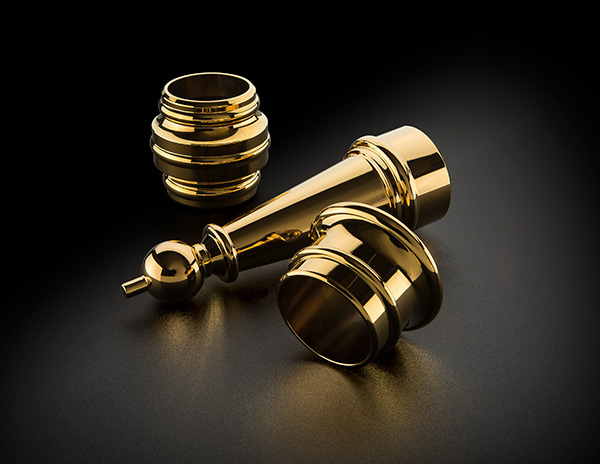 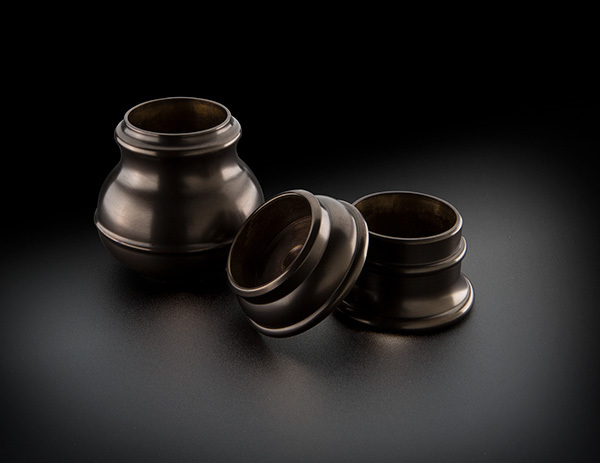 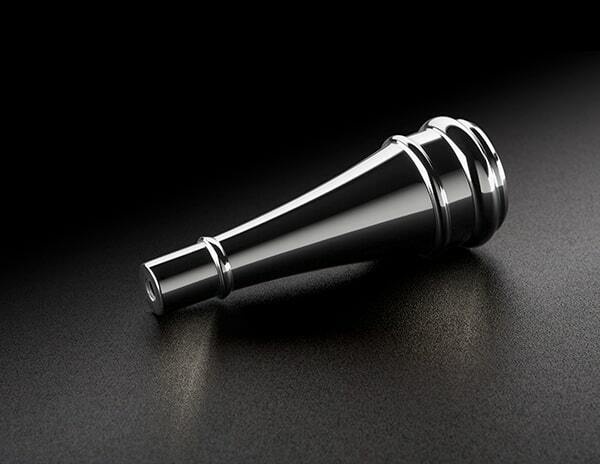 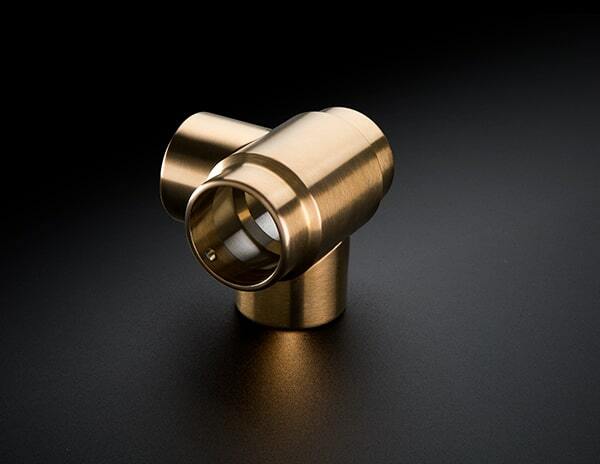 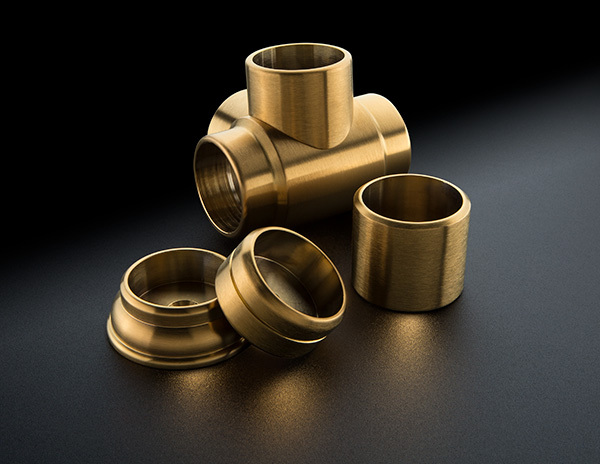 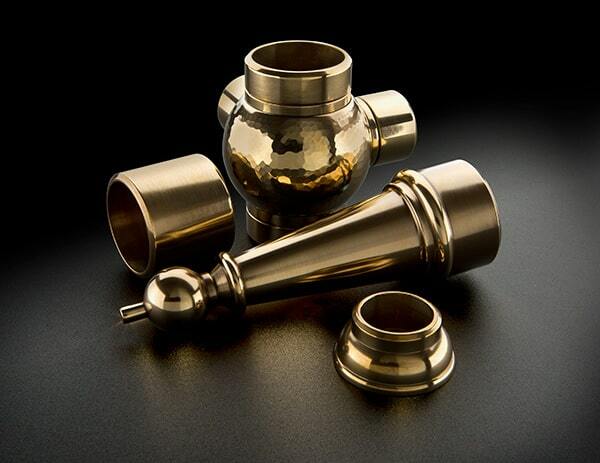 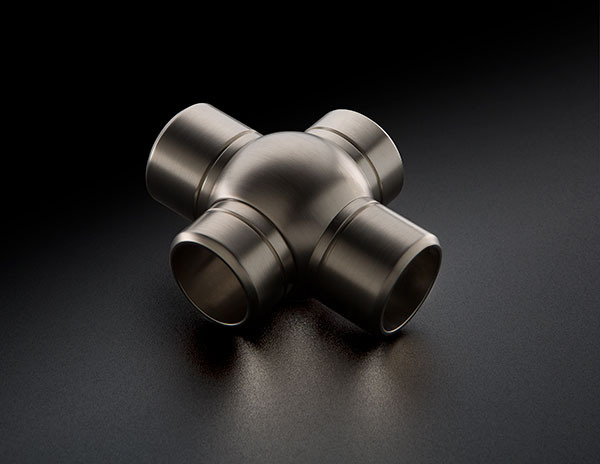 See how Palmer Industries custom sink leg components are machined from solid brass utilizing the precision of automated computer controlled machining.